Do you like experiments and science? Here is a simple and quick experiment to discover the property of water and paper. 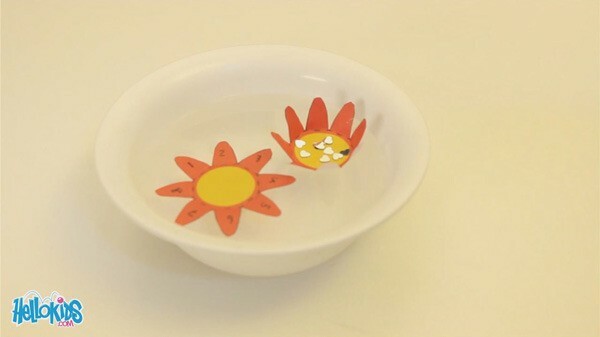 A paper flower that opens when lying on water! How? Let us explain. The phenomenon used in this experiment is the capillary action. The paper is made of tiny fibers. When you leave the paper flower folded on the water, the water gets into the fibers, makes them inflate and heavy, which makes the petals move and open. This is exactly the same phenomenon as for an old sponge. They get small and hard, but when you pour water on them, they get big and soft again. Real flowers work the same way. They need water to get inside their fibers, and makes them live! Print the template of flowers at the bottom of the tutorial. Cut out one or several flowers. 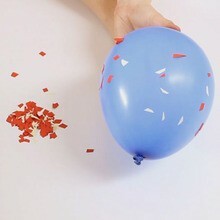 Fold up the petals one by one following the doted lines. Put it on the water, petals face up. Wait a minute, and the flower opens.